For the past few years, Indonesia’s maritime sector has grabbed headlines thanks to a special partnership between the country’s navy and the Ministry of Marine Affairs and Fisheries, which was established in 2015. The two parties agreed to enforce the law on illegal fishing and have destroyed more than 300 boats in total. 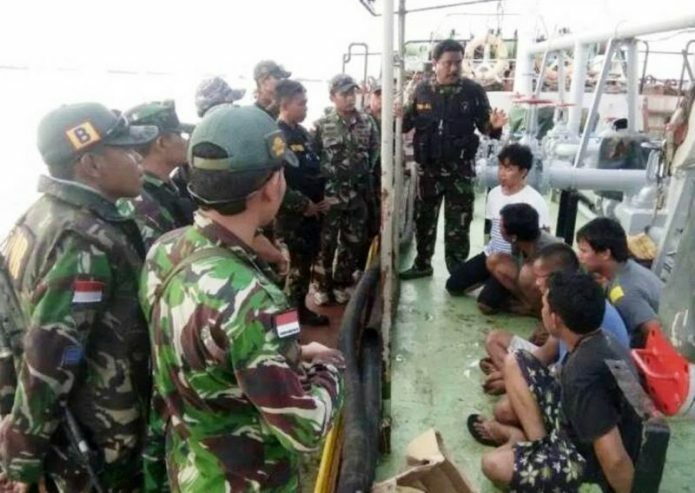 Not only focused on illegal fishing, however, the Indonesian navy also recently garnered media attention for capturing two fugitive tankers that escaped from Malaysia. The fugitive tankers are known as Orca 127 GT and MT Brama Ocean 314 GT. One of the boats, which bears the Fiji flag, was recently charged by the Malaysian Maritime Enforcement Agency (MMEA) for not having insurance. The other tanker (MT Brama Ocean), which bears the Malabo flag, was detained for entering Malaysia without the proper permits and failing to notify authorities upon its arrival in the country. Both vessels evaded authorities thereafter and headed for Indonesia. At first, the MMEA sent a notice to the commander of Indonesia’s Lantamal IV (Main Naval Base IV) Ribut Eko Suyatno about the escaped boats. Suyatno passed the notice to his intelligence assistant to collect as much data as possible about the two fugitive tankers and to consider the possibility that they may have entered Batam, Bintan or Tanjungbalai Karimun waters. Patrol ships including the marine security patrol and safety units of Lantamal IV were then informed to concentrate their fleets in the Riau strait, Northern Batam and Durian strait where the two fugitive boats were predicted to pass through. “At last on Sunday, April 23, the Western Fleet Quick Response (WFQR) IV team found the possible location of MT Brama Ocean and MT Orca, which escaped from Malaysia. WFQR ordered participating patrol ship Sea Rider […] to investigate the suspicious tankers in Tanjung Uma, Batam,” said Suyatno. Upon investigation, it was confirmed that the two tankers matched the description and data sent by the MMEA. The happening was seen as a great example of international cooperation on maritime law. Consisting of one captain and five crew members, all suspects admitted that a local Indonesian citizen (identified only by the initial A) played a role in the escape scheme. So far, authorities are still trying to identify the individual and understand a possible motive. Indonesia’s maritime sector has also warranted anger from China. 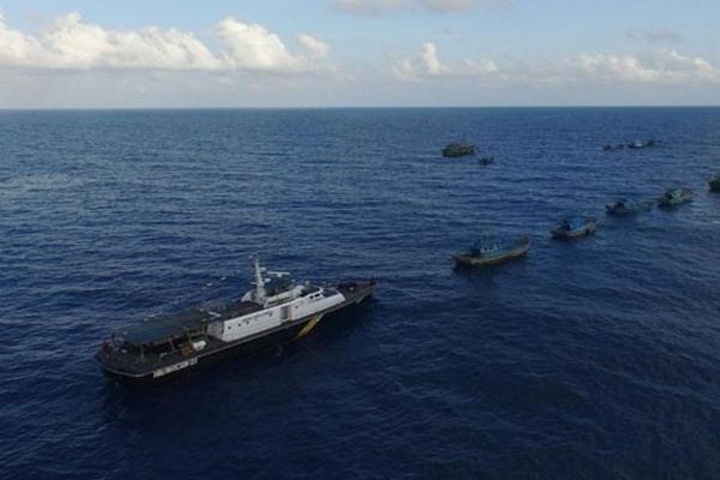 In 2016 Beijing officially filed a grievance with the Indonesian government regarding the country’s decision to fire upon Chinese fishing boats and detain their crews. But regardless of China’s complaints, Indonesia continued to crack down on illegal fishing. On April 26, 2017, local authorities detained 17 Chinese sailors who were suspected of conducting illegal fishing activities in Riau waters. This time, however, China is letting Indonesia decide what to do with the suspects if they are ultimately found guilty. Preliminary information indicates that the Chuan Hong 68 ship was run by a Malaysian company called Accenture Strategy. Chinese Foreign Minister Geng Shuang said the company conducted research in the location, as explained in its working contract with the sailors. Regardless, the ship was found doing illegal underwater exploration on April 20, 2017.